Take a trip – make a difference! 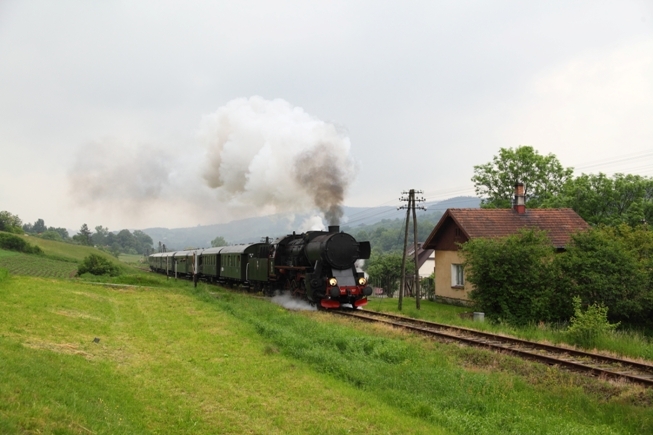 Video clip of the return leg of the Chabowka-Dobra kolo Limanowa-Chabowka steam special near Mszana Dolna hauled by Ty2-911 on 27 August 2011. Video Neohagrid. 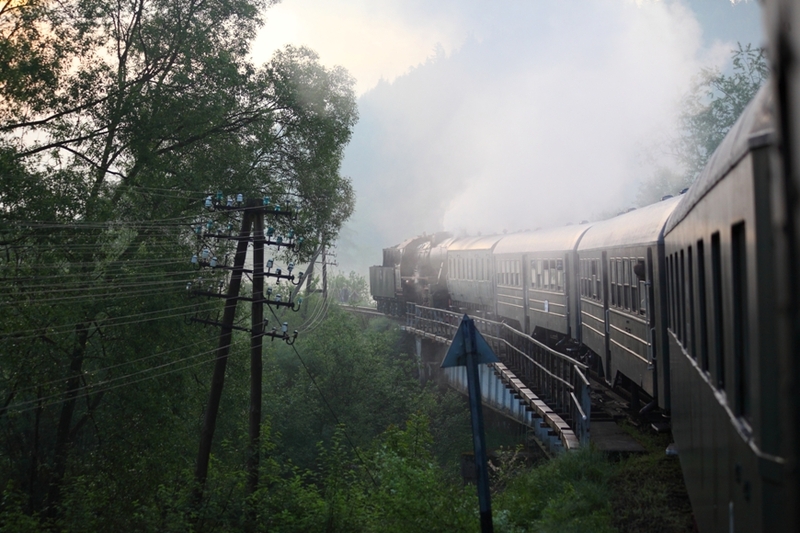 On Saturday 12 November, there will be a rare (and possibly last) opportunity to ride a steam special along the entire length of the Chabowka – Nowy Sacz line. The railway is part of the Galician Transverse Railway. It was built in 1884, during the days when this region of Poland was part of the Austrio-Hungarian empire. The co-organisers are Fundacja Era Parowozow and Gnieznienskie Stowarzyszenie Sympatykow Kolei. A number of senior local government officials have been invited to ride on the train. If it is heavily patronised, it will strengthen the case for retaining this line as a tourist railway run in association with the Chabowka railway museum. So by taking a trip on this train you can help to make a positive impact on the chances of saving the railway for future generations. One of the people behind this initiative is Robert Dylewski. Robert was the instigator of the successful campaign to save Ty2-5680 from scrapping, he has also been a tireless fighter in the battle to save the railway museum at Pyskowice. 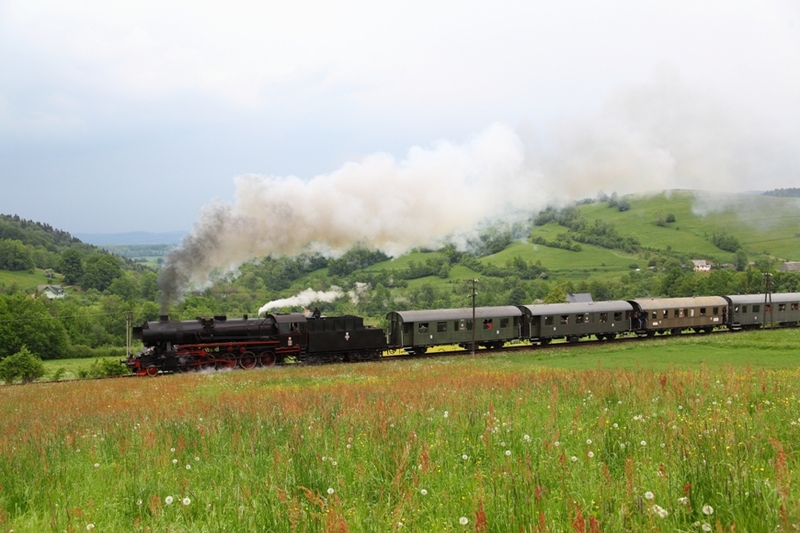 Most steam specials on the Nowy Sacz line run from Chabowka to Mszana Dolna or Dobra Kolo Limanowa, this trip will be rare opportunity to ride the whole line. The special will depart Chabowka around 08:00 in the morning; arrival in Nowy Sacz is envisaged around 13:30. There will be a ‘stretch break’ at Nowy Sacz of about 1 hour and the train will return to Chabowka around 18:00. Several photo stops are planned for the outward leg. The train will be hauled by Chabowka-based Ty2-911 and the formation will include a buffet car. Bring along your own beer! The cost of the trip will be 250PLN. Reservations are being taken on a ‘first come, first served basis’. Further details are available from Michal Swiatek on +48 727 554 611 from 09:00 to 20:00. Slowak Railways Bo-Bo diesel 742 398-1 hauls Przewozy Regionalne EMUs EN 57-694 and EN 71-004. Photo Palio. On 8 June we reported how a raging River Poprad had destroyed three spans of a girder bridge between Nowy Sacz and Stary Sacz cutting off the winter holiday resort of Krynica from the main railway network. Earlier hopes that the river crossing might be rapidly restored by the Polish Army have come to naught and it appears that PKP will be ferrying passengers between Nowy Sacz and Krynica by bus for some time yet. 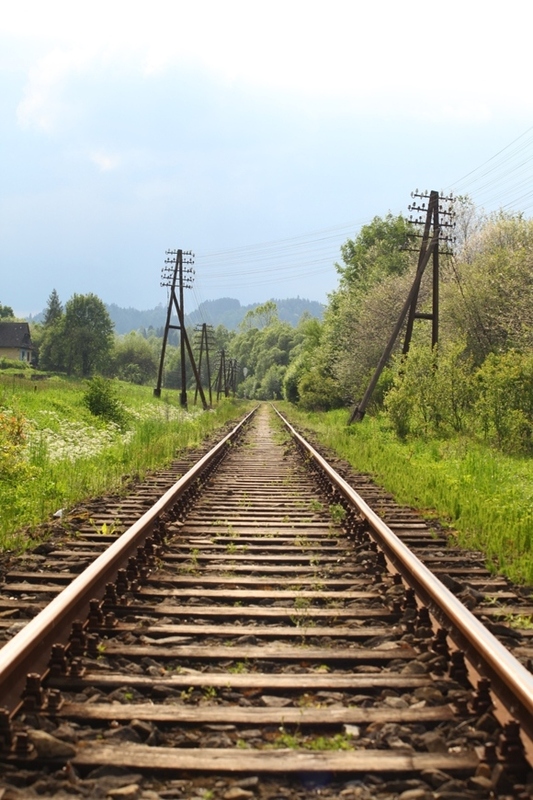 With no immediate prospect for the restart of railway service, Przewozy Regionalne decided to retrieve two of its electric multiple units which had become stranded at Powroznik and Muszyna on the other side of the destroyed bridge. On 25 August 2010, with the help of Slowak Railways the units were hauled back to Poland across non-electrified lines in Slowakia. The route taken was: Powroznik – Muszyna PKP – Plaveč ŽSR – Poprad-Tatry – Žilina – Čadca – Skalité – Zwardoń – Chabowka. The whole journey was comprehensively illustrated in a photo report on http://www.railpage.net by Palio. This is well worth seeing and can easily be accessed by clicking the image at the head of this article.